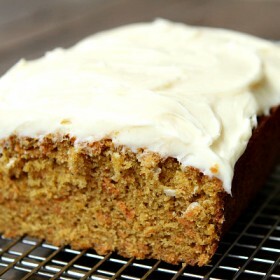 Carrot cake is so cool! 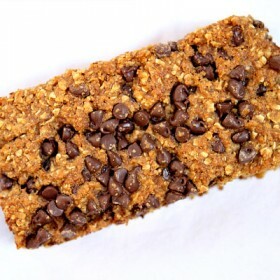 It’s kind of like zucchini bread in the sense that they both contain vegetables but still taste great. I love that you can see the grated carrot in the bread… It shows kids that all things with vegetables do not have to be avoided and tossed aside. This carrot cake was perfect. It wasn’t dry like some other cakes. 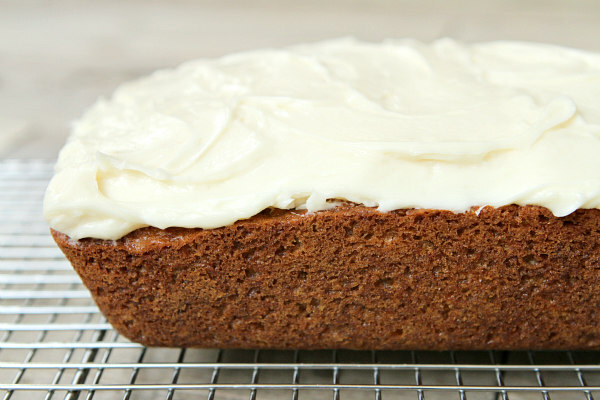 Cream cheese frosting is my go-to frosting for any dessert. It’s so good! 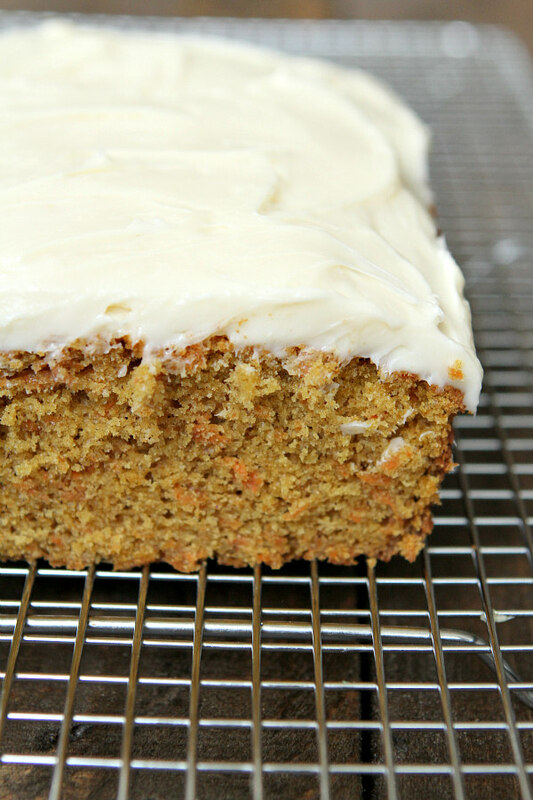 If you’re looking for a good carrot cake, look no further. I think you could easily increase the recipe to make it into a square or round pan instead of a loaf cake. I really like how this loaf cake turned out though. We used a large loaf pan and it made the cake shorter- use a smaller loaf pan if you want a taller cake! 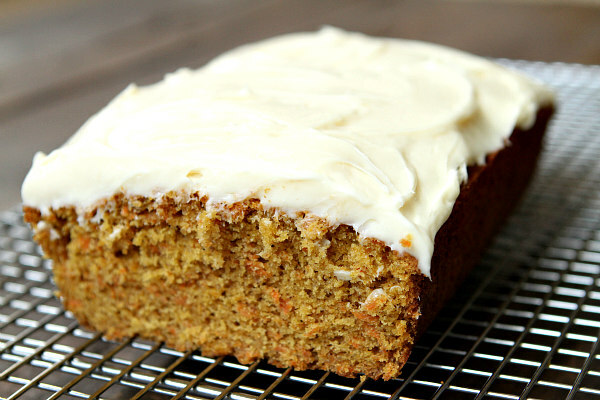 Have a great Easter and enjoy this carrot cake! Awesome, easy cake recipe with a thick layer of frosting! Preheat the oven to 350 degrees. Spray a 9x5 (or 8x4)-inch pan with nonstick spray. In a small bowl, whisk together the flour, baking powder, baking soda, salt, cinnamon and nutmeg. In a large bowl, use an electric mixer to combine the butter and brown sugar until light and fluffy; beat in the eggs and vanilla, then the carrots. Add the dry ingredients and beat just until combined. Scrape the batter into the prepared pan. Bake 40 to 45 minutes. Let cool in the pan for 15 minutes, then turn the cake onto a rack to cool completely. To make the frosting, use an electric mixer to combine the cream cheese, powdered sugar and vanilla until creamy and well mixed. Spread the frosting on top of the cooled cake. Keep refrigerated in a covered container if you don't eat it all right away! 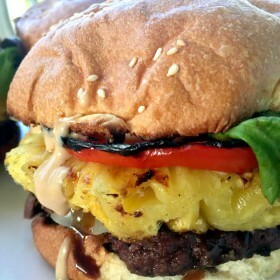 I’m going to make this for my kids tomorrow, it looks so yummy! Thanks!